PEDALpUNK by Casa Distortion was designed by Scott Eric Olivier as a way of using his favourite pedals in conjunction with a DAW. 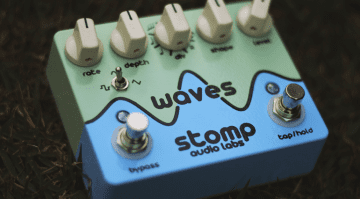 It’s an easy way to add your favourite stomp box sounds to your recordings. The idea apparently came to him back in the ‘90s and now he has finally released it as a working piece of hardware. Each pedal is hand-made in the USA and can be ordered directly from Scott. 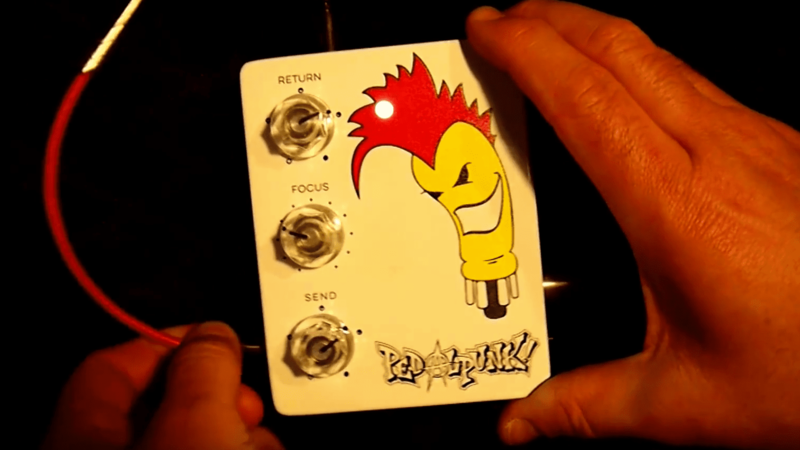 The PEDALpUNK is in a stomp box format and allows the user to loop favourite pedals into a computer-based recording environment. This uses a balanced In and Out and a Send/Return on the unit. 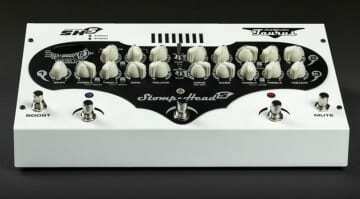 The controls are simple: there are Send, Focus and Return controls that allow you to dial in the amount of the stomp box on your recording. 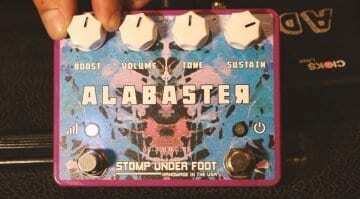 The pedal itself achieves the correct impedances that guitar stomp boxes require and allows you to get your favourite fuzz, overdrive or flanger into your track. The ‘Focus’ control allows you to adjust the impedance on the fly so that you can get the pedal of our choice sounding as it should. The unit is powered by a 9V DC power supply. This is a neat idea and very simple to use. I personally have been using a mixing desk to do a similar thing for years, but it’s a bit fiddly and not everyone has a mixer these days. So, if you are into home recording and want to get your favourite stomp box onto one go you tracks, then this could be the thing for you. The RRP is yet to be announced. For more details, check out the PEDALpUNK website. 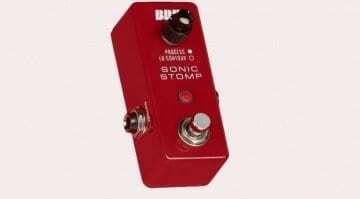 BBE Sonic Stomp MS92 Mini Maximizer: Small format, bigger sound?